If you are craving chocolate and need a quick homemade chocolate cupcake recipe, look no farther. This easy cupcake recipe is mixed in one bowl and is ready for the oven in just minutes. Making cupcakes from scratch can save you time and money. Whether for a birthday party, office party or a family gathering, these tasty cupcakes will fit the bill. Although chocolate is good with many different frostings, we have included an easy chocolate cupcake icing recipe to add even more chocolate flavor. 1. Preheat oven to 375 degrees. Grease muffin pan(s) or line with cupcake papers. 2. Into a large bowl, sift flour, sugar, baking powder and salt together. Add shortening and milk, stirring to blend. With mixer on low speed, beat until well combined. Add egg, vanilla and chocolate and beat on low speed until thoroughly mixed. Spoon batter into muffin pans, filling each cup half full. 3. 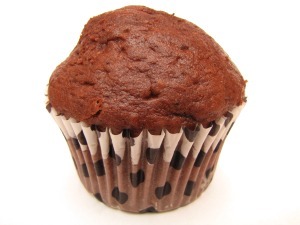 Bake for 20 to 25 minutes until a toothpick inserted into center of a cupcake comes out clean. Remove cupcakes from pans and cool upright on wire racks. 4. To prepare chocolate icing, put chocolate, butter and honey in a microwave safe bowl. Melt for 30 second intervals, stirring after each, until chocolate is completely melted. Remove from microwave and whisk until fully combined and icing is smooth and glossy. While warm, pour icing over cooled cupcakes.